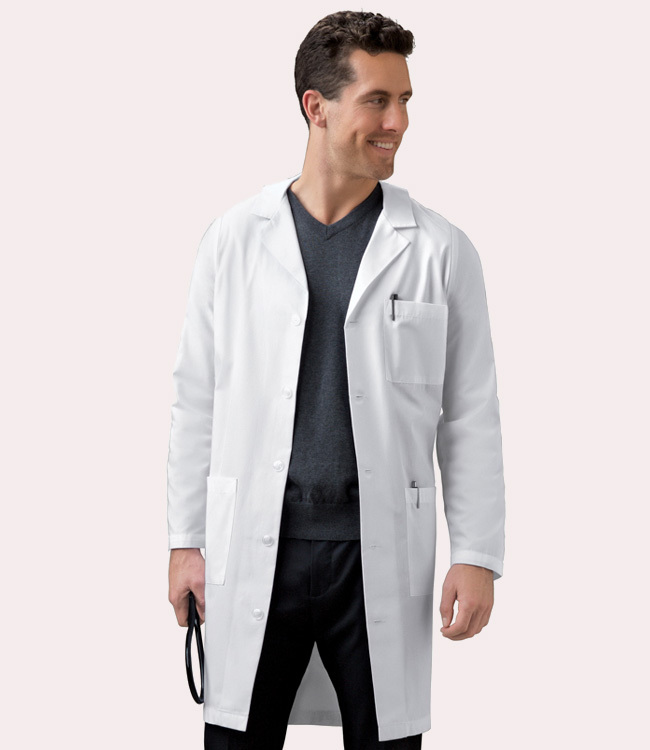 Men's long lab with adjustable back belt has side access openings, two roomy patch pockets and chest pocket. Notched collar styling. Length: Center back length: 40"